Maxwell is a penetration tester with Trustwave’s SpiderLabs Asia-Pacific. SpiderLabs is one of the world’s largest specialist security teams, with over 100 consultants spread across North America, South America, Europe and the Asia Pacific. SpiderLabs has a focus on original security research and regularly presents at conferences such as BlackHat, DefCon, OWASP, Hack In The Box and Ruxcon. 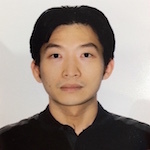 Maxwell is based out of Singapore and his primary focus is on providing penetration testing service to clients in the Asia-Pacific region.